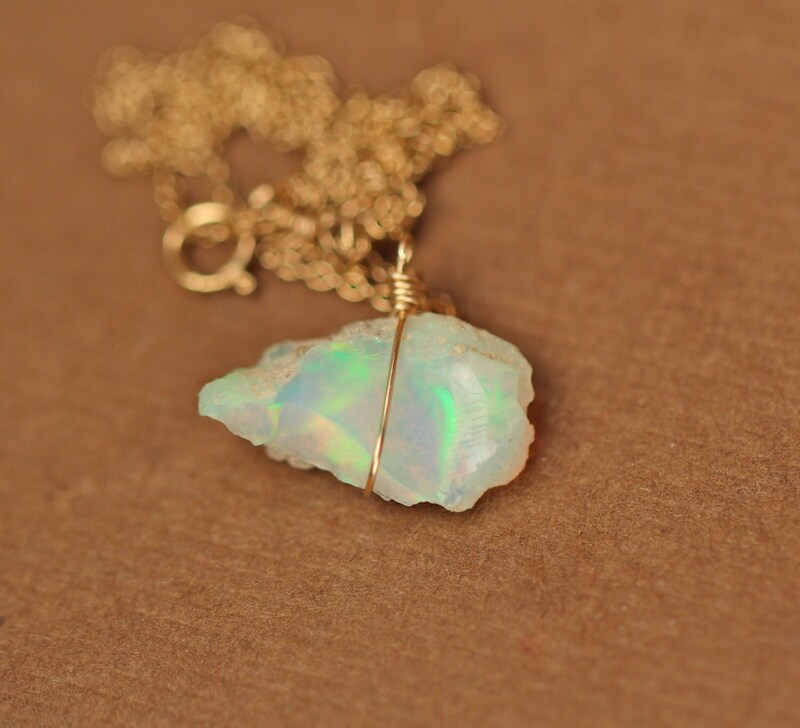 A one of a kind raw ethiopian opal wire wrapped onto a 16 inch 14k gold vermeil chain. 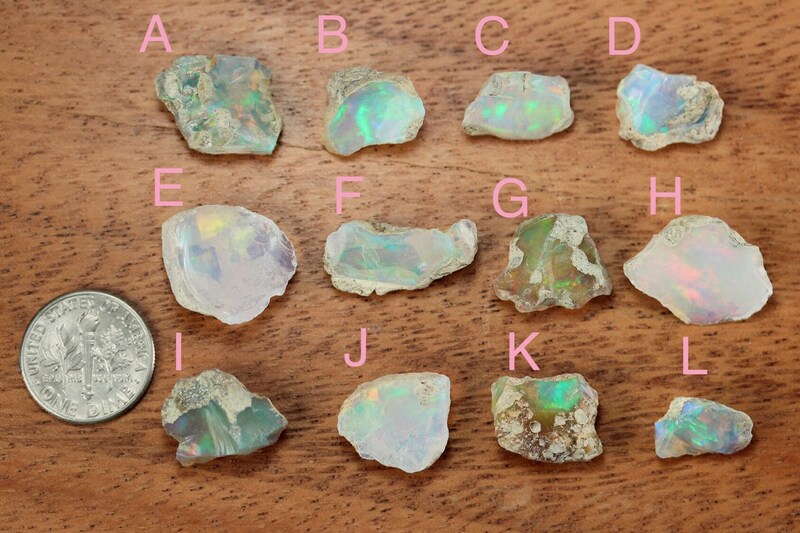 Please choose your favorite opal as shown in the fourth photo and a different length chain if you prefer! 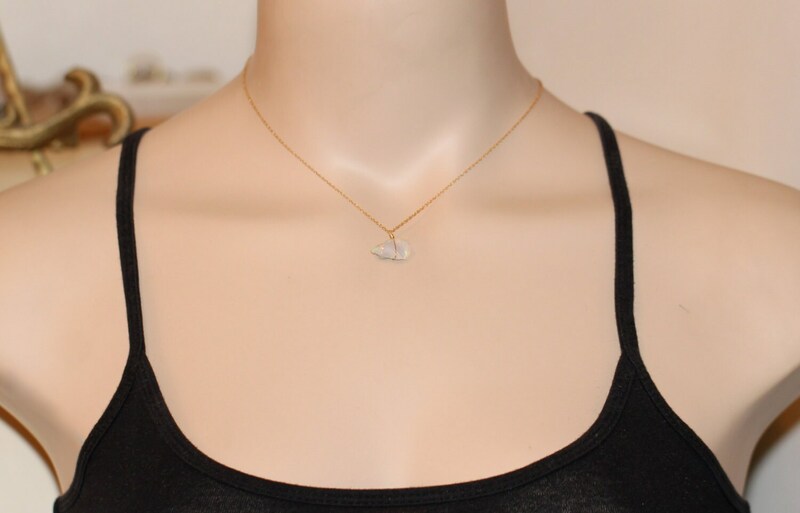 Also available in sterling silver! Solid 14K yellow and white gold are available for an additional cost. Please message me for details! Ethiopian opal is hydrophane and is porous in nature making it able to absorb water. It is best to keep Ethiopian opals away from contact from water, moisturizers, oils, perfumes or chemicals of any sort. 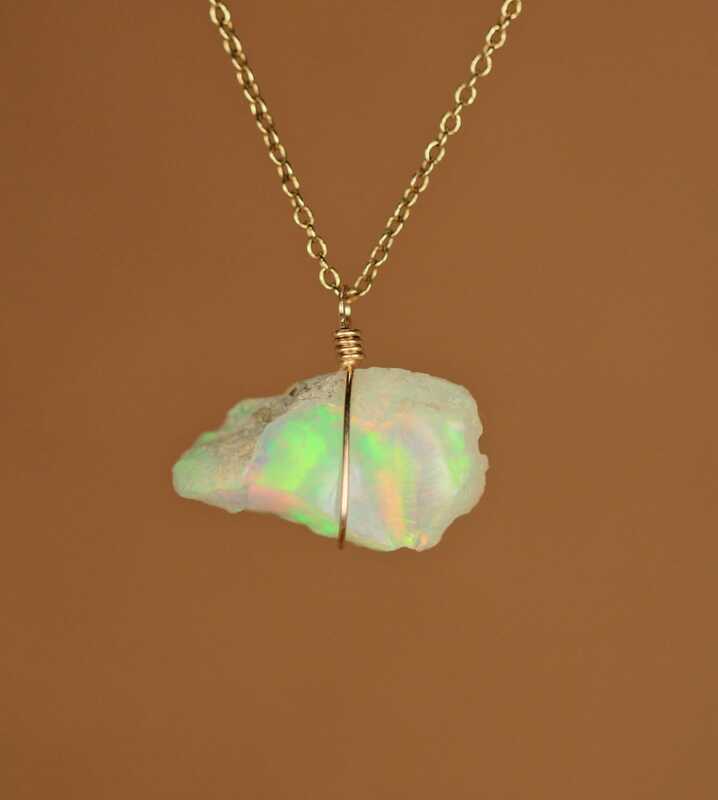 Water can be absorbed and will effect the color and reflection within the opal. 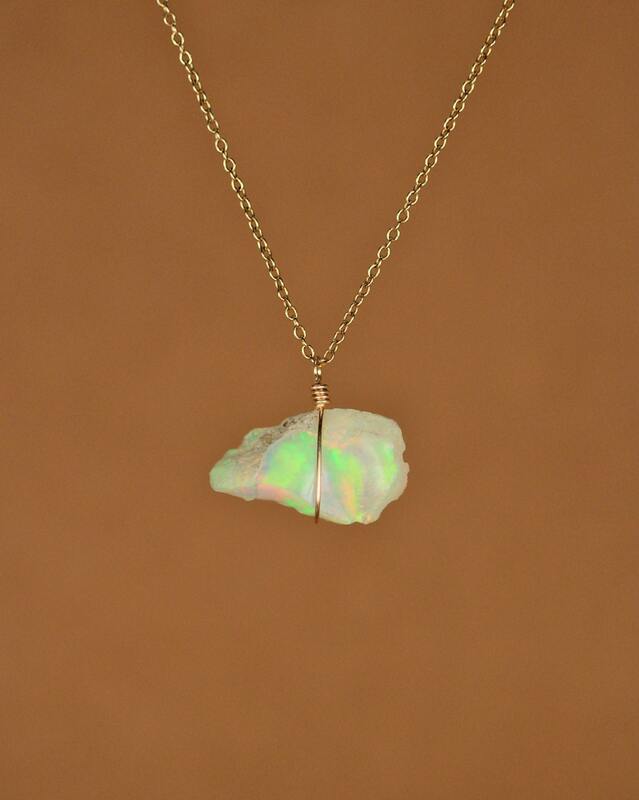 If your opal does get wet is is recommended to keep it in a warm, dry environment to allow the excess water to dry. The drying process can range from a few days to a couple months.